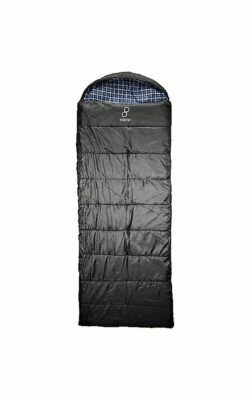 Kelty Cosmic 20 in my tent. 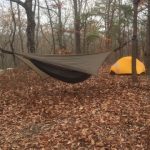 I have been able to test the Kelty Cosmic 20 in some warmer temperatures recently, both in a hammock and in a tent. It’s going to be hard to find a bag out there that gives you this much bang for your buck. 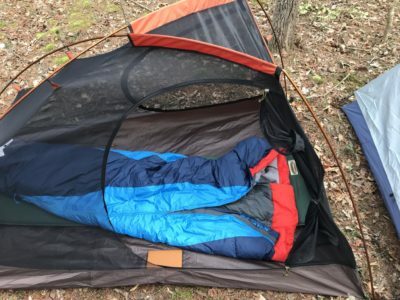 Click here to see some updates from my last two trips and read my final thoughts on the sleeping bag. 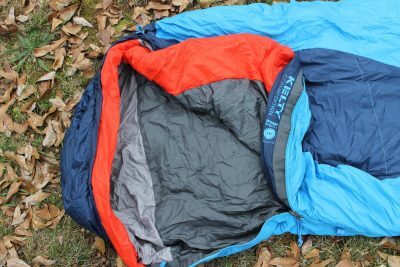 A down, three-season sleeping bag with a ton of value at a great price, the Kelty Cosmic 20 has a lot to offer for a sleeping bag that costs less than $200. Click here to read my initial review on the bag.